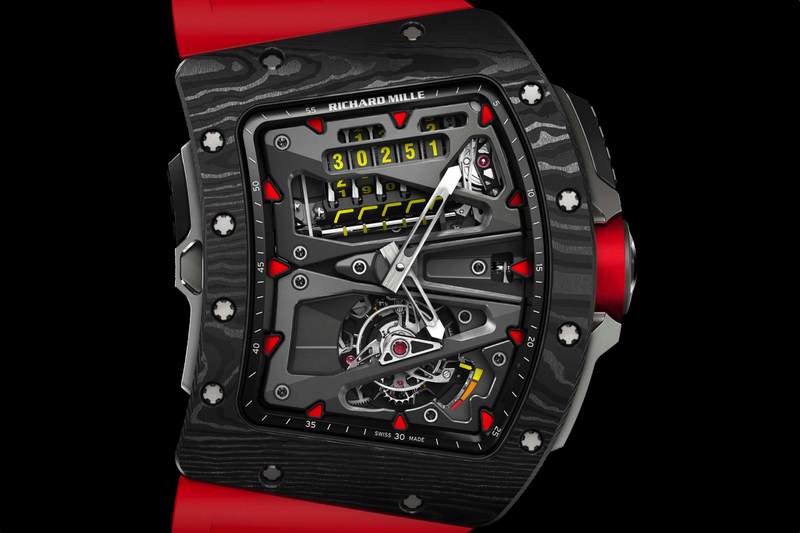 In March, Richard Mille unveiled the new RM 035, a timepiece that professional tennis player Rafael Nadal wears during all of his tennis matches. 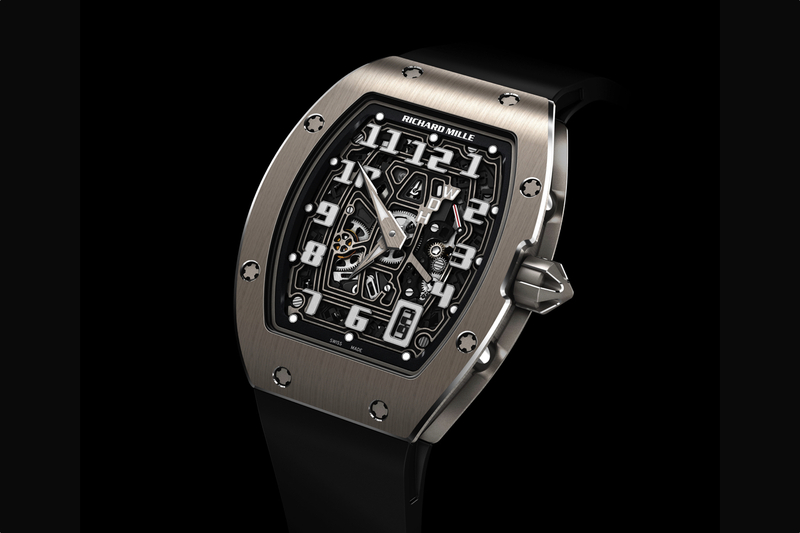 The tonneau shaped case is signature Richard Mille, and is made of a ultra-light magnesium-aluminum alloy. This alloy is composed of 90% magnesium and 8.9% aluminium and helps keep the new RM 035 under 20 grams (including strap). Powering the Richard Mille RM 035 is a manual winding skeleton calibre RMUL1. It has 24 jewels, beats at 28,800 vph (4Hz), has a free sprung variable inertia balance, and a 55-hour power reserve. The movement weighs next to nothing at 4.3 grams (although surprisingly the RM 027 movement weighs even less at 3.8 grams). 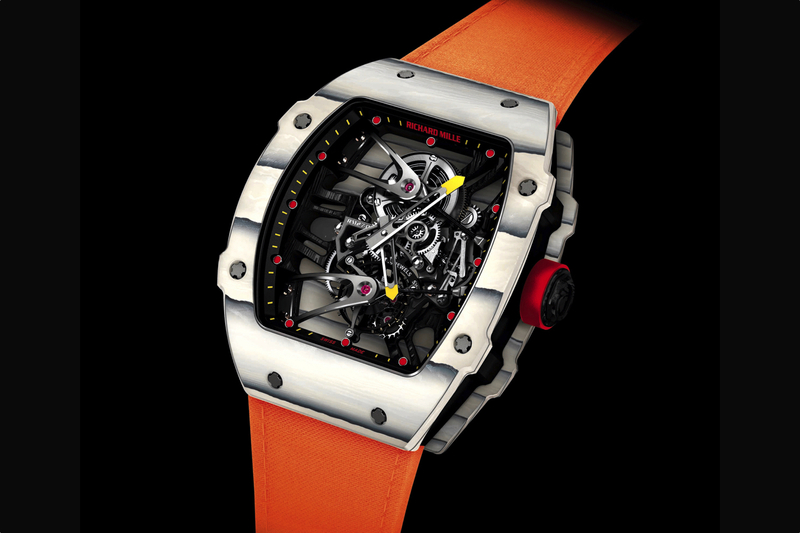 Originally, Rafael Nadal wore a tourbillon equipped Richard Mille RM 027 that cost over $500,000. The retail price is $85,000.